The SUPERNOVA free performance art festival is dazzling Rosslyn. Amid the unique and stunning vistas from Dark Star Park, JJ McCracken has immersed herself in the natural cadences of passing time. Kids are digging her performance, especially her sun-reflecting suit of mirrors. She will circle the park through a cosmic, 24-hour performance. Don't miss it. 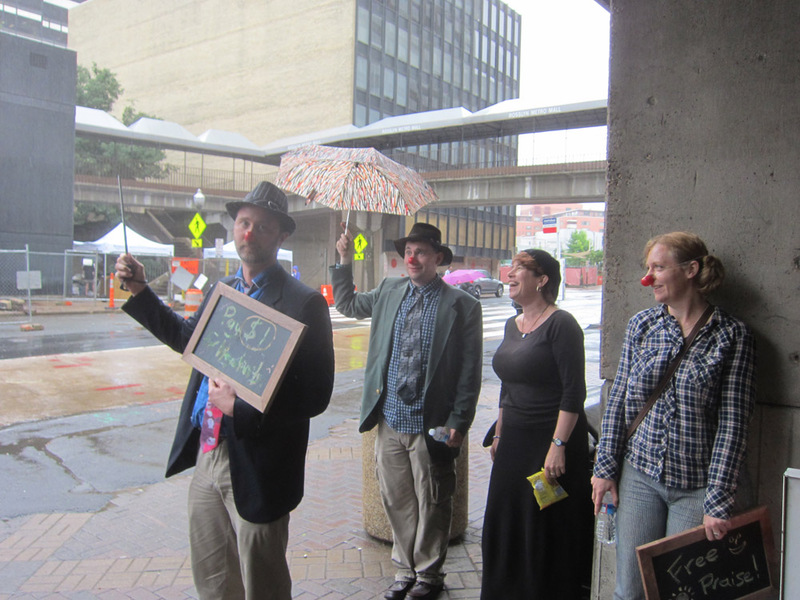 If you passed through the Rosslyn metro this workday, you could have gotten some free praise from the clowns of Borealis Theatre. Getting some negativity from them would have cost you $1. In most other metros, negativity comes for free, while you have to work hard for praise. Look around Rosslyn for other well-priced retail offerings. 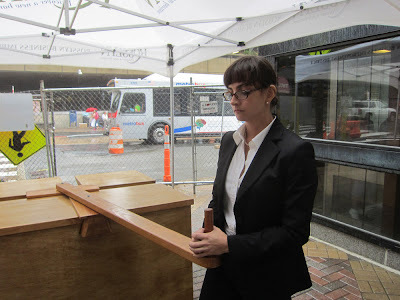 Kathryn Cornelius put in an impressive 8-hour work day operating a do-nothing machine. Every job has tasks that you just have to grind through. Some jobs are nothing but such tasks. 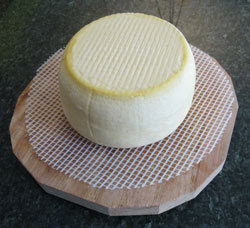 Cornelius's performance showed how to walk though drudgery with highly professional and preter-humanly stolid resolve. Brian Feldman spent Friday wondering around Rosslyn in his bathrobe. Don't try this yourself if you think your robe's waist-tie is likely to slip. Persons are jailed for years for offenses like that. Jeffrey Cudlin gave an inspiring performance of determination to get to Rosslyn from Georgetown. 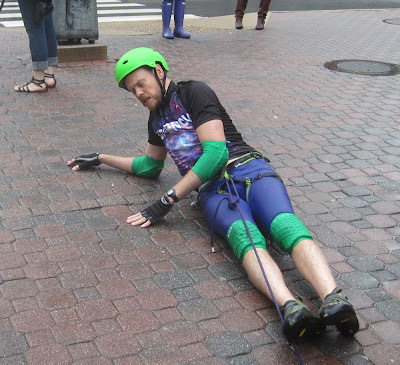 Dressed in full climbing gear and with a supporting team of belayers, he climbed from Georgetown across Key Bridge to arrive at the center of Rosslyn. Rotate your perspective ninety degrees and you can imagine a huge climb up from Georgetown to the level of Rosslyn. Many visitors to Rosslyn remark about feeling a sense of Xanadu. This isn't just an effect of Artisphere. Rosslyn's unique spaces and features evoke imbricated worlds. 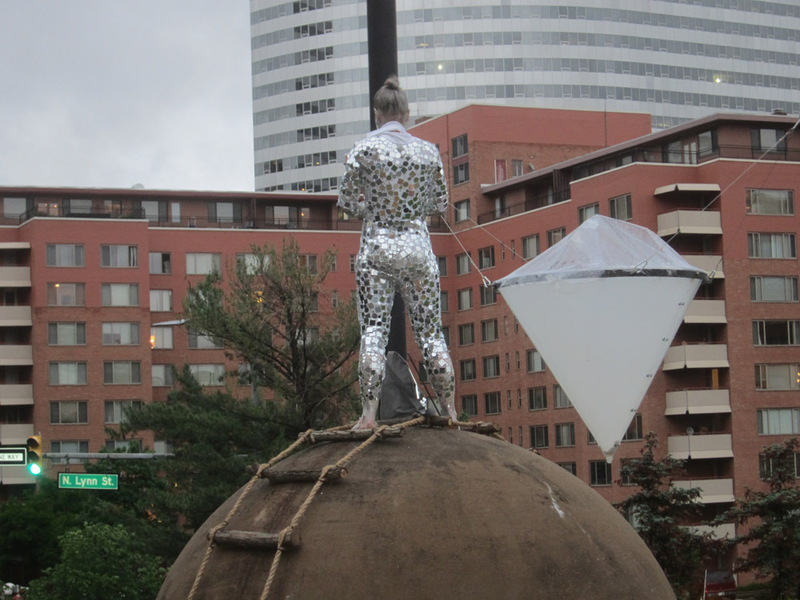 Nabeela Vega performed movement between worlds in a swimming pool set up near Rosslyn's church over the gas station. When you're in Rosslyn, you are free to be in a another world.